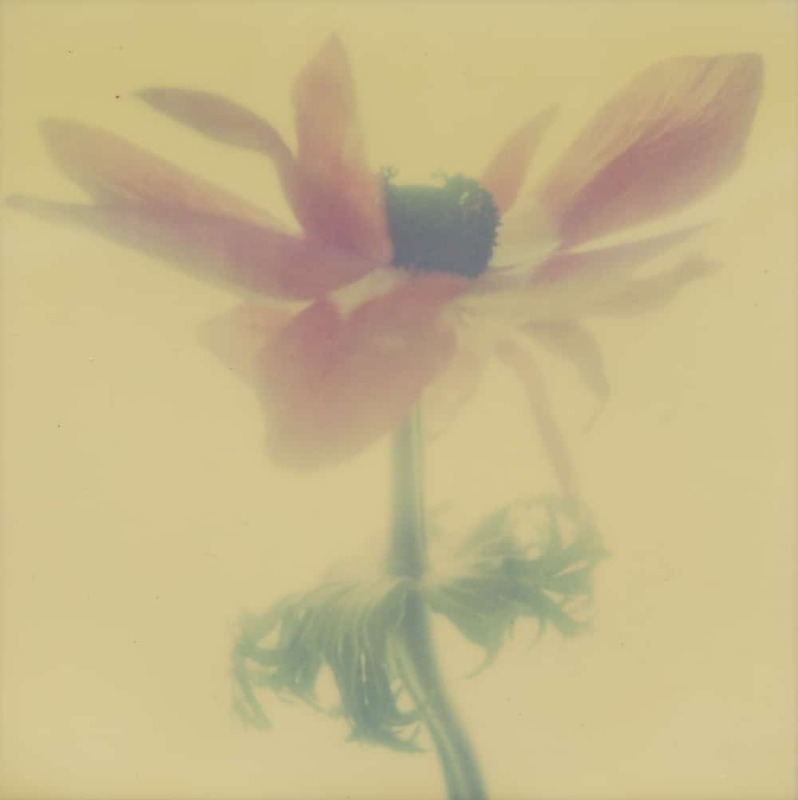 Why the SX-70 Monoprints of Flowers? 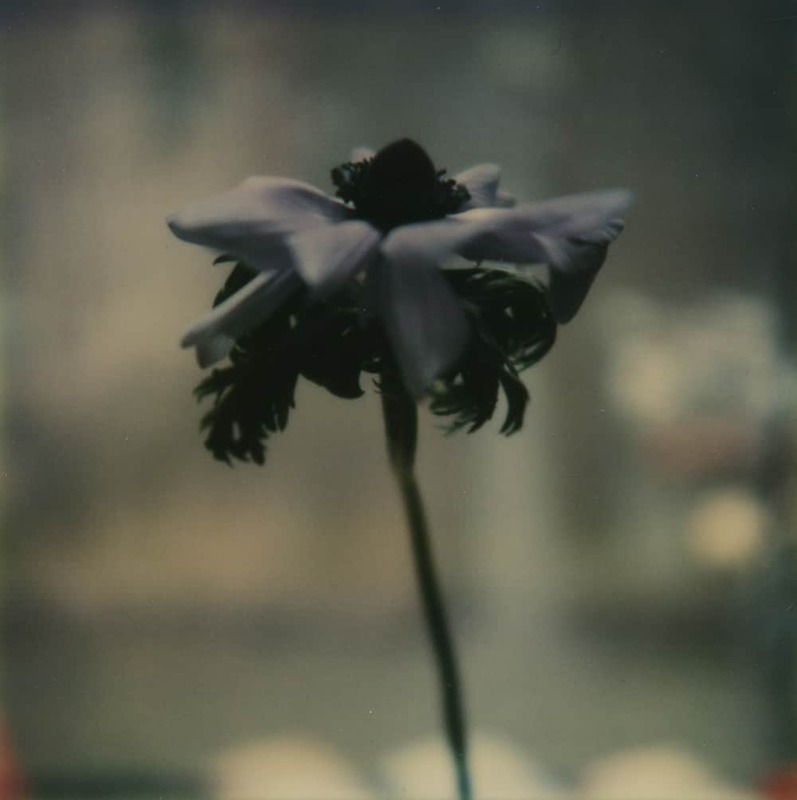 My Polaroid habit was costing me a hundred dollars a day back when I couldn't kick it. In my apartment in New York City, I discovered two things. First, by altering the color behind the flower I was shooting, I could change the colors of the petals without changing the flower. I guessed that when light reflects, it reflects at different wave lengths (based on the color of reflecting surface); thus altering the hue of the reflecting surface will produce a tertiary hue unlike the actual hue of the flower. The tertiary hues appear to be based on the amount of time the three sensitized silver halide crystals (red, blue and green) are allowed to react to the different hued reflecting surfaces. Second, to escape altering the hue I would hang a white cloth in the window and place a flower on the window sill in front of the cloth. The initial intent of the cloth was to remove the building from my final image, but the cloth stumbled me onto a new concept of scattered light. 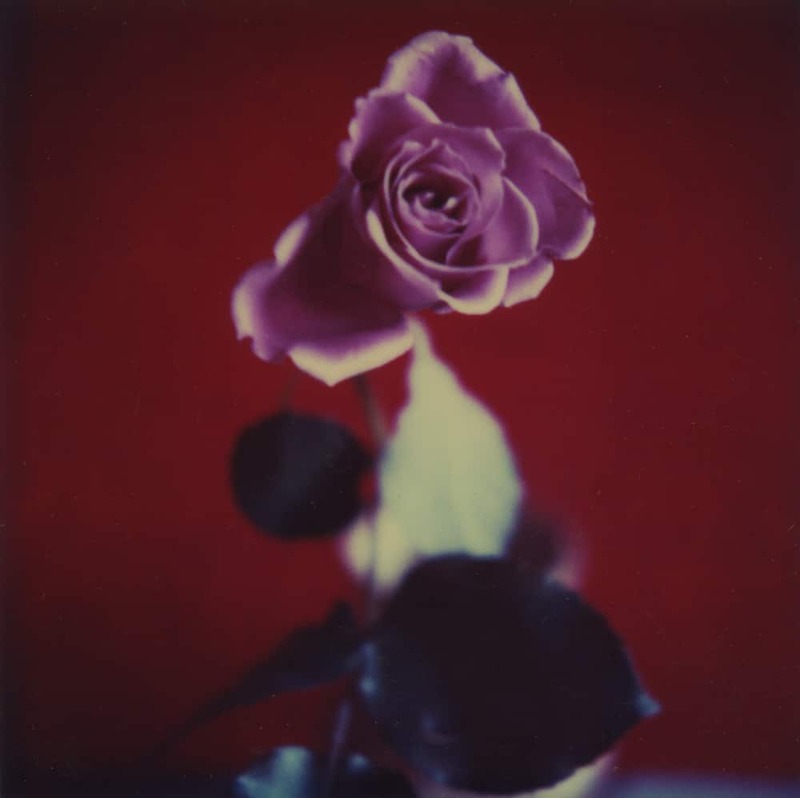 When I shot a flower against the white cloth, it would leave a black silhouette of the subject flower. But by holding my finger over the light meter, the meter would give the camera a false reading, and the lens would remain open long enough to allow the ambient light to drift around and expose the most delicate of true and actual details. It was like playing a violin and required a lot of practice. Through the view-finder I could see particles in the air reflecting light which gave me some idea of when to jerk my finger away to close the lens. These studies led to the “Flowers in the Window” monoprints.